To promote the North American Free Trade Agreement and Canadian-American relations, Justin Trudeau, Prime Minister of Canada, visited California and hosted several forums, starting his tour in San Francisco on Thursday, Feb. 8, and speaking at the Ronald Reagan Library on Friday, Feb. 9. Over a thousand people were in attendance, surrounding the stage. Standing in front of a wall of windows showing the view of Simi Valley below, Trudeau spoke on his connection to Ronald Reagan and his vision for friendly trade relations between Canada and the U.S. 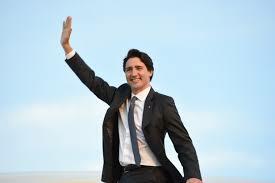 While Trudeau gave most of the speech in English, he occasionally switched to French for his Canadian audience. Known for involving the community, the Reagan Foundation encouraged alumni of their student programs, the summer Student Leadership Program, to attend the event, even inviting participants to come for free. Aaron Rohrer, senior, wanted to see Trudeau because he was interested in learning more about the interplay between the North American countries. “I felt that he was another foreign leader but would actually be able to say things not only about his country, but our country as well and the other countries in North America,” Rohrer said. Rohrer believes that students should at least obtain a general understanding about politics and countries around them to be successful in the future, another reason why he attended the event with the Prime Minister.